You can have your pie and eat it too with this fruit-inspired protein creation. These protein bars are for the inventive souls amongst you. They're for those of you who like to think outside the shake and experiment in the kitchen. 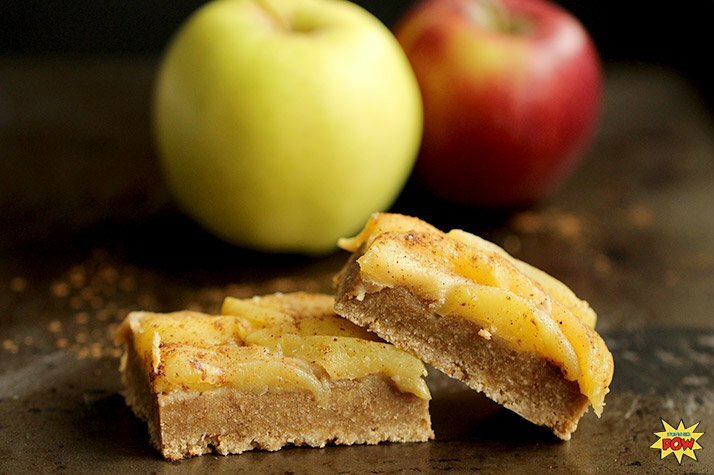 These bars are for those who have a weakness for apple pie, and those who want to indulge their passion for health and fitness without giving up their sweet tooth. They're for people who, like me, want a protein bar that's full of flavor but also one that is brimming with nutritious ingredients. The bars are open to a lot of variations. You can create an after-dinner ode to apple pie a la mode by cutting them into little squares and serving them up with a scoop or two of vanilla protein ice cream. You can also add some chopped pecans or walnuts to give your bars a bit of a crunch. The possibilities are endless, and no matter the variation you choose, they're all really easy and quick to make! And did I mention they're delicious?